De Sikkenberg in Stadskanaal - the best offers! This price applies to 12-person group accommodation Zwaluw, with the arrival as 13 May 2019, 4 Nights. Holiday park De Sikkenberg is situated amongst the wonderful nature of the Westerwolde, a district of Groningen, and is ideal for excursions and activities in the region. But also within the holiday park, you will find a variety of facilities and activities that will keep you more than just occupied and make you feel right at home. The theme of faith and religion is particularly important in this area, and for this reason, there are also various activities such as Bible studies and church services. Outside of this, however, there are of course various sports facilities, and there’s also an outdoor pool. At holiday park De Sikkenberg you will find everything you need to make your holiday as comfortable and pleasant as possible. In addition to various playing and sports fields such as basketball, volleyball and bowling alleys, there is also a swimming pool where you can enjoy the cool water in summer. You can also go on an exploratory tour with your electric bicycle and get it ready for the next day at one of the many recharging stations within the holiday park. For children, there is a lot to experience at De Sikkenberg. In addition to the already mentioned playgrounds, sports fields and the swimming pool, there are additional activities for the young ones during the holidays. For example, concerts, canoe tours and various sporting events are offered and organised. There’s also the opportunity for archery or the chance to take part in the Indian festival, or even visit a small petting zoo with Dutch donkeys. Children also receive a daily lunch package with lemonade and crisps to keep their stomachs topped up during the day. 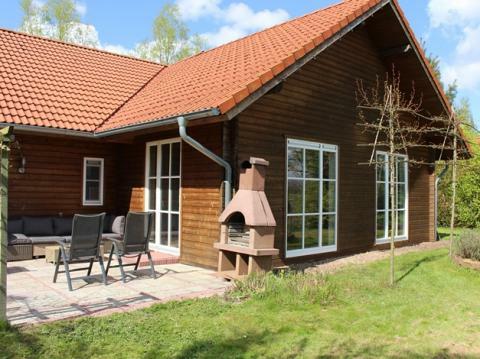 In the holiday park De Sikkenberg you will also find a restaurant, where you can have a pleasant lunch or dinner, as well as a mini-supermarket which provides you with the necessary food to prepare your own delicious dinner in your room. There’s also a special bread roll service, which supplies residents with fresh pastries every morning. Due to the wonderful landscape and nature around De Sikkenberg, you can simply hop on a bike or put on some sturdy shoes and explore the surroundings. The Westerwolde region is in the easternmost part of Groningen and lies directly on the German border, so nothing stands in the way of a trip to neighbouring Germany! But you could also visit the enchanting university town Groningen (55km), which is only 45 minutes away from the holiday park and offers everything for an extensive shopping trip. However, you can also visit an amusement park in the surrounding area with the children - the theme parks Drouwenerzand (20km) and Kabouterland (23km) are both only 25 minutes away from the holiday park and are guaranteed to offer a fun day out for the whole family. The subtropical swimming pool Topiqua (19 km) is also worth a visit as it’s close by. But there are also a number of museums and cultural activities in the surrounding area that you should explore too, for example the museum Heiligerlee (20 km), which inspires visitors with historical information about the region. This park requires a deposit of €300 for Familiehuis Zwaluw and €50 for Blokbungalow Aalschover. Energy costs must be paid in advance. The costs are €150 for Familiehuis Zwaluw and €50 for Blokbungalow Aalschover. Bookings from seasonal workers/companies are always on request. Please contact our customer service.